Caslon 5 Line Pica Rounded. 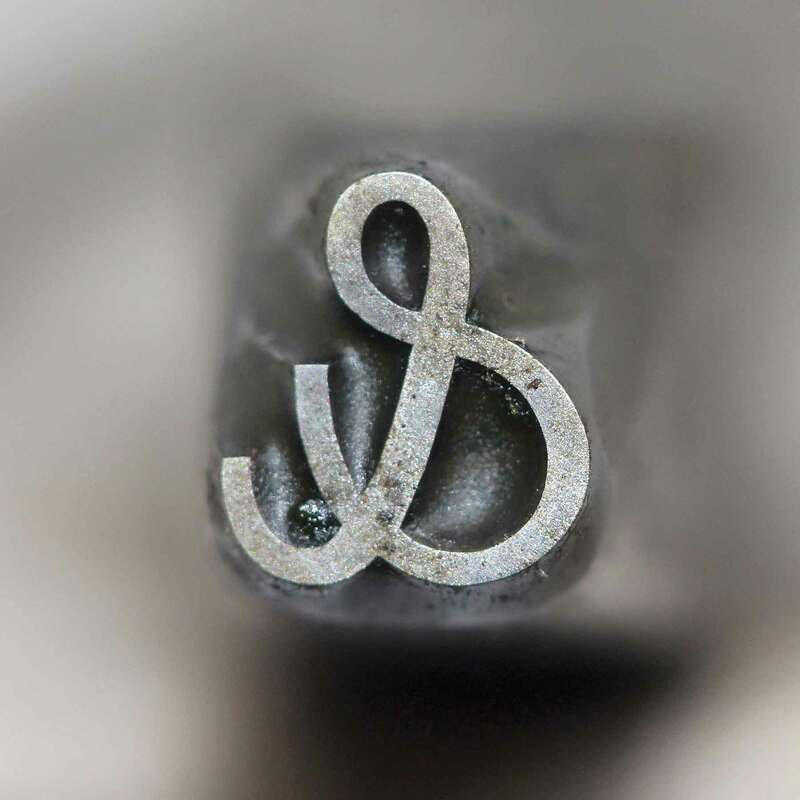 A punch for the ampersand. 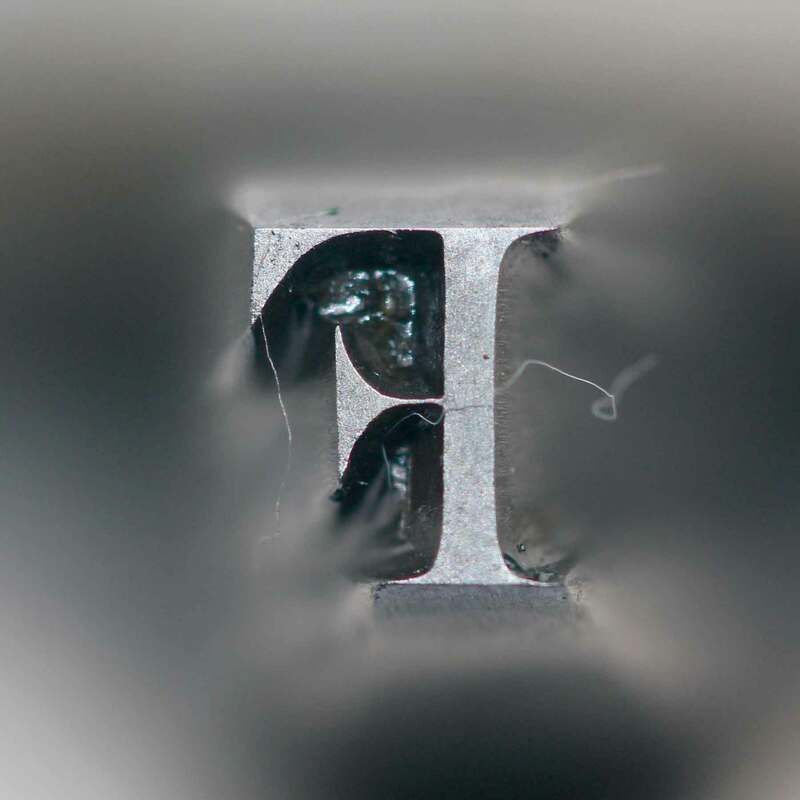 TWO OF THE GIANTS in type founding were the Caslon and Figgins foundries. Based in London, both operated in various guises from the 18th to the 20th century. What remains of these enormous ventures can be found at St. Bride Library in Fleet Street, the historical neighborhood of printers and newspapers. Since opening in 1895, St. Bride has become a leading collection of printing and graphic design material, much of it collected under its past librarian James Mosley, now at Reading Univeristy. 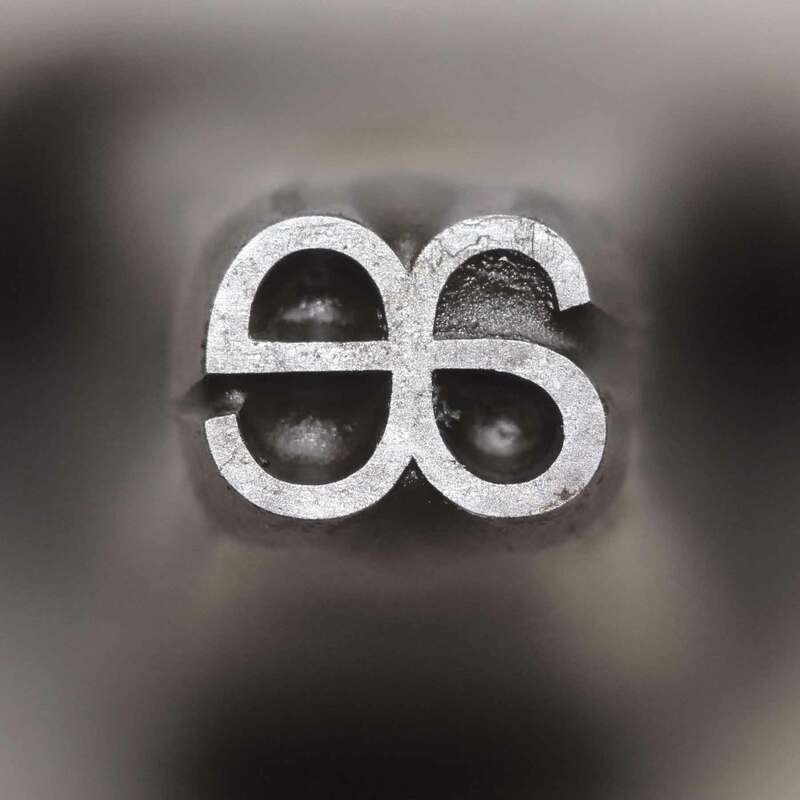 In the 1970s he acquired the punches of the Caslon foundry. There were over 1,000 boxes, weighing more than three tons. Mosley also brought the matrices of Steven Shanks, successors to Figgins. 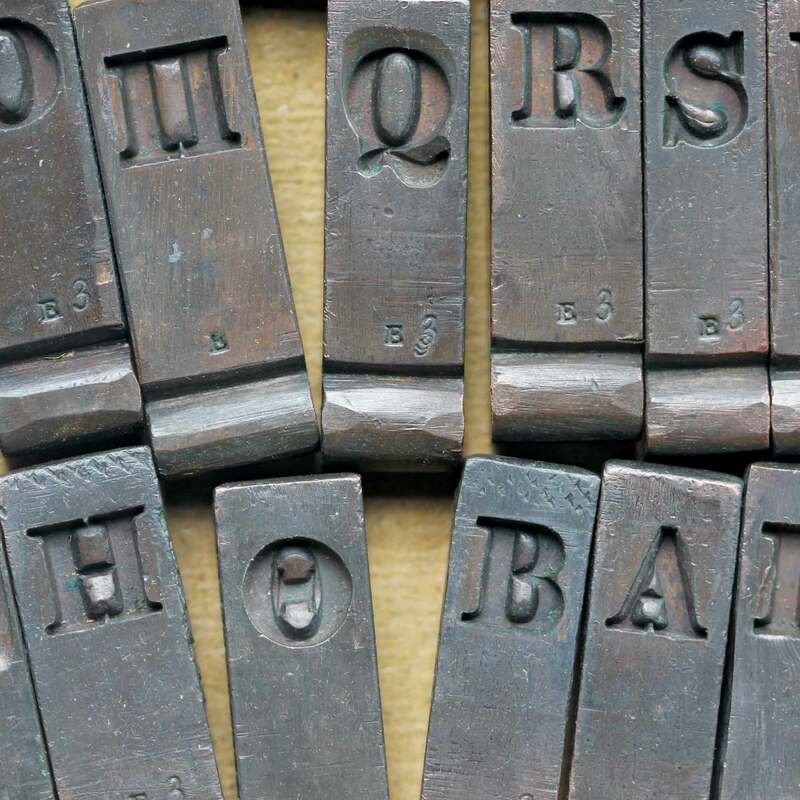 Here are the machine tools of the great English type design innovations of the 19th century: the Sans, Egyptians, Italians, Tuscans and Clarendons. 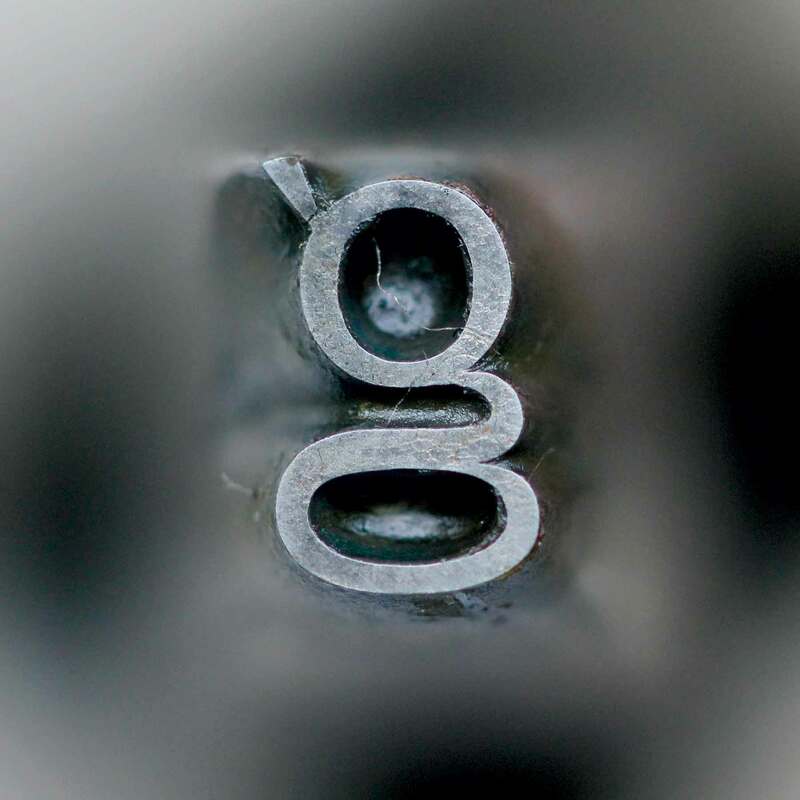 Full of character and vigor, these typefaces were made by skilled engravers—by hand. 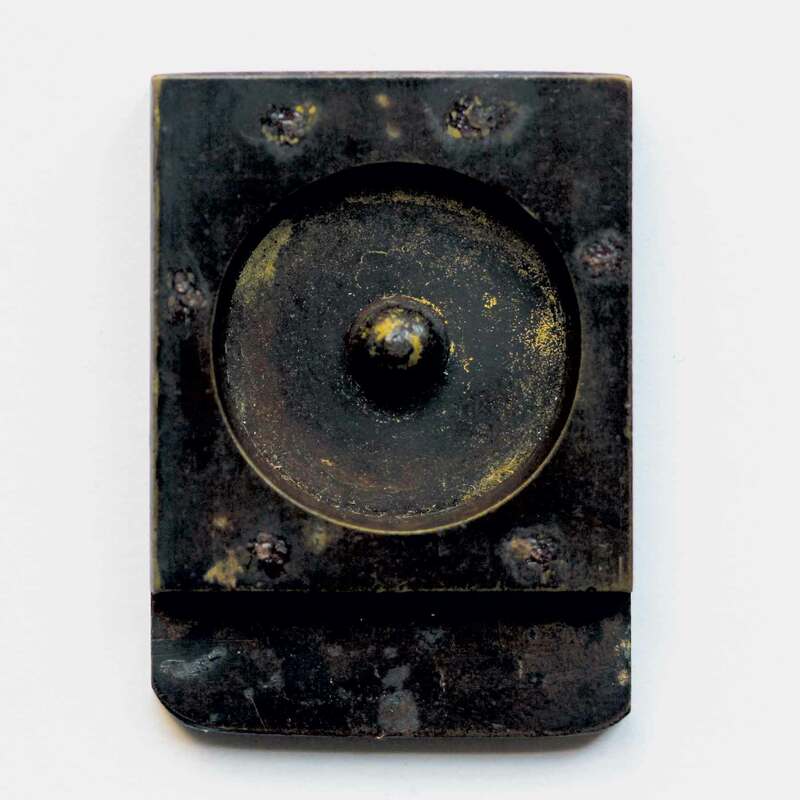 On these pages we see the punches that the foundries used to make the matrices, the molds, from where the type was cast. 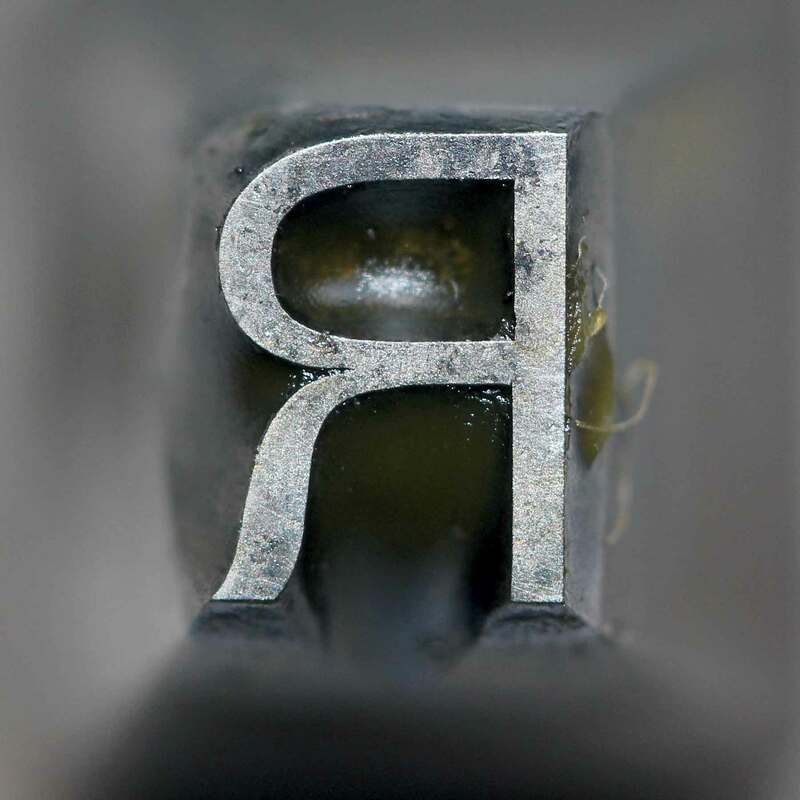 On its side, a punch for Caslon’s Double Pica No. 2. Caslon Canon Antique Compressed. The 1830s consolidated innovations of the previous three decades. New fonts were often extensions of successful designs. An important variation was “condensed”—a simple idea which was quickly popular since it allowed longer and bigger words on the page. Antiques (Egyptians) were particularly suited to narrow widths. 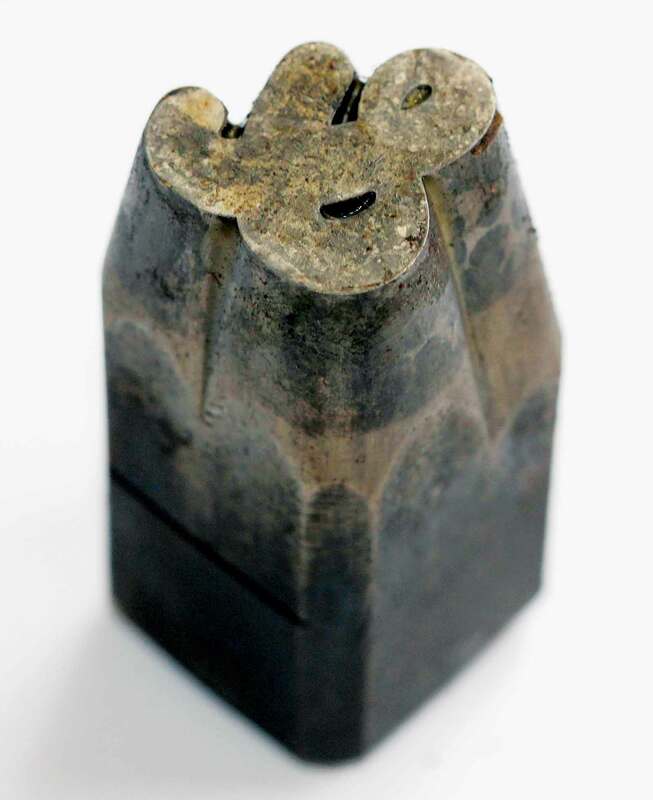 This case of punches show how the cutter create, sculptural forms from a block of steel. Each would take a skilled craftsman most of a day to make. Heated and hardened, punch was then driven into a copper bank to make a matrix from what the type was cast in a hand mould. 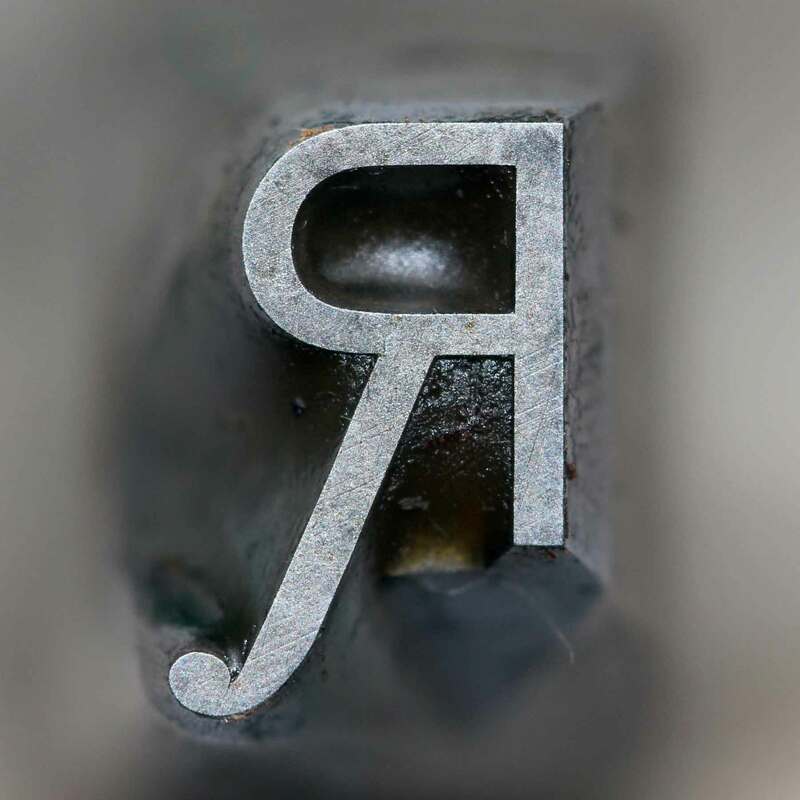 Caslon Rounded Ornamented, Caslon 5 Line Pica Rounded. 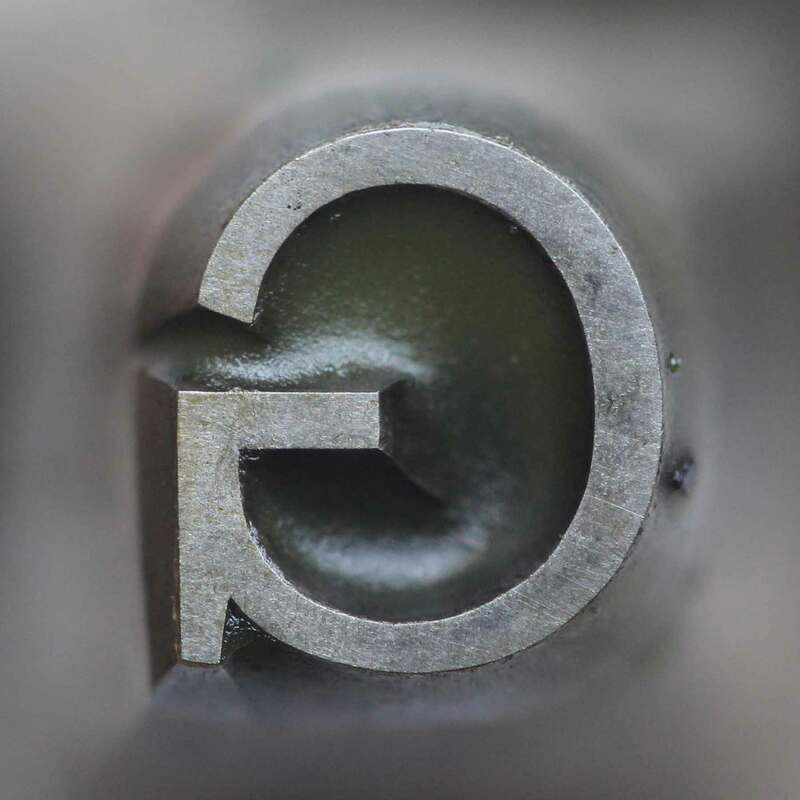 The rounding of corners was a particular favorite of the Caslon foundry, appearing ﬁrst in 1836. A bold sans design, it now seems far ahead of its time. 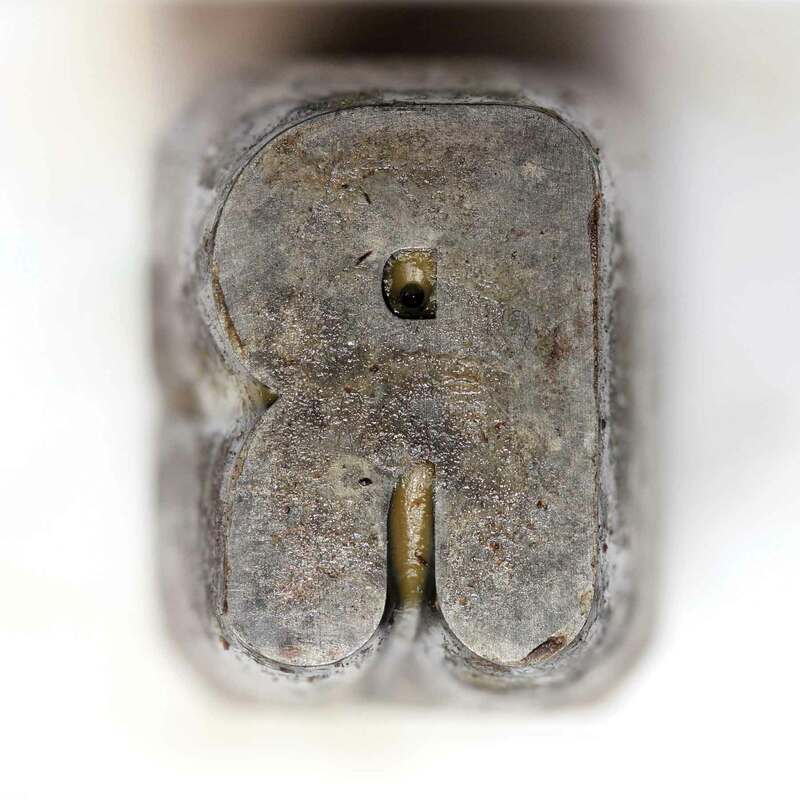 Quickly the foundry introduced an inline, and then in the 1840s an ornamented with a quirky charm. 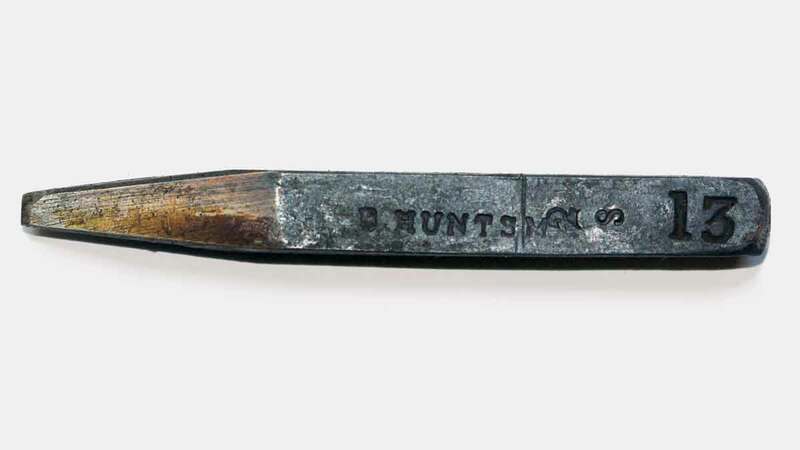 The punchcutter: F. Boileau,1846. Figgins 42 point Titling. 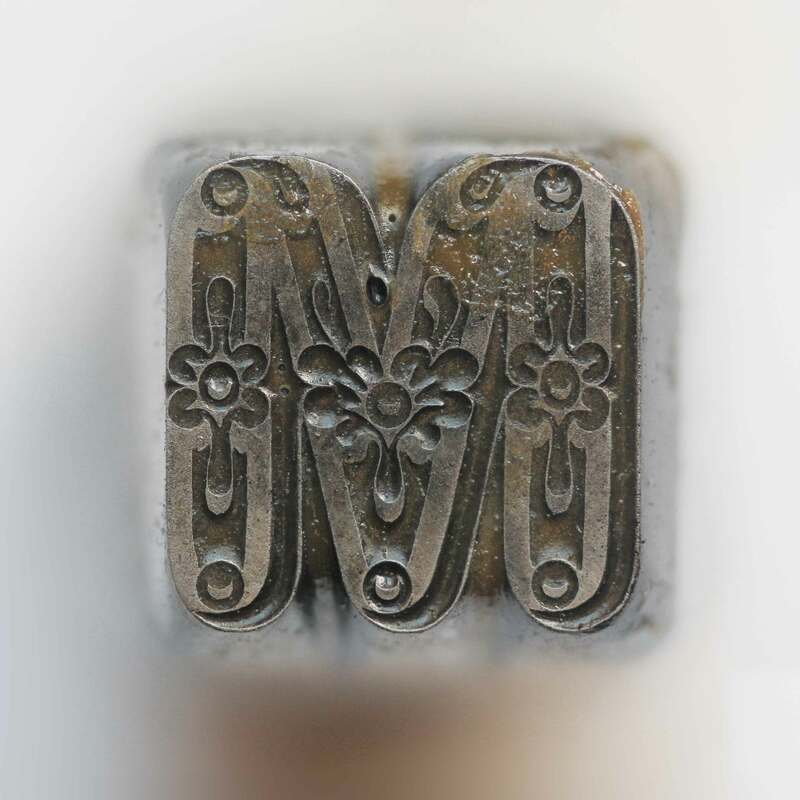 Vincent Figgins came on the scene just after the first Caslon, and was successful in the early 1800s following the European styles. Matrices for this modern titling include Greek capitals. Figgins Five Line Pica Sans Serif. Caslon’s Egyptian, the first sans typeface, appeared in 1816, but found little if any popularity. Figgins foundry was the first to revive the sans idea. With startling simplicity, the design has boldness and vigor that appears modern even now. 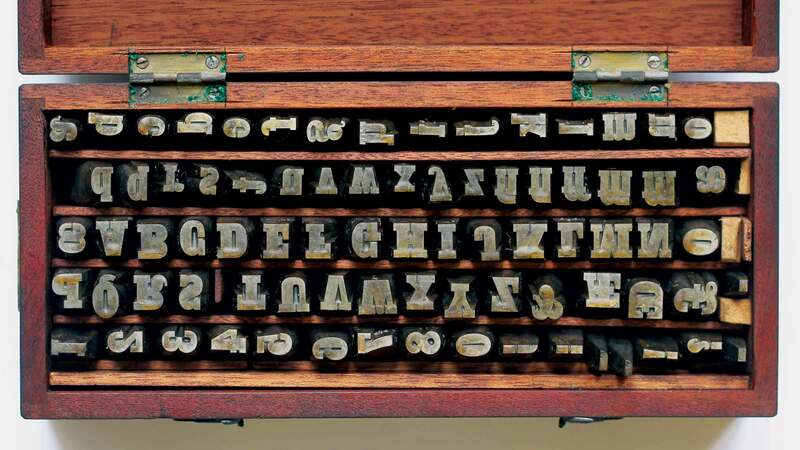 Caslon reintroduced a sans after 14 years reintroduced in the 1830s and this time there were sales. 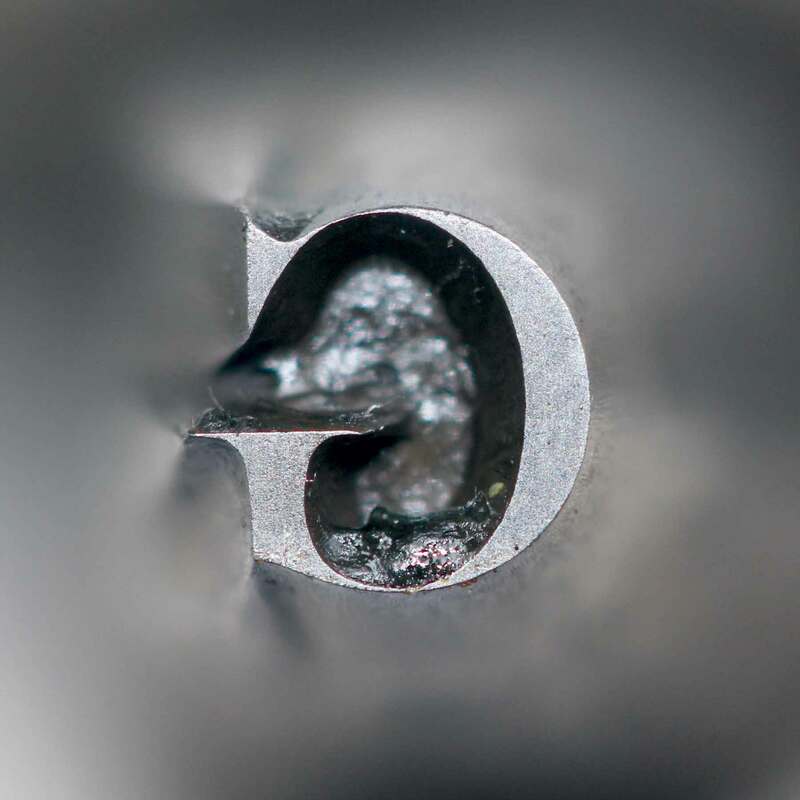 Paul Barnes, co-founder of Commercial Type, provided the photographs for this piece.